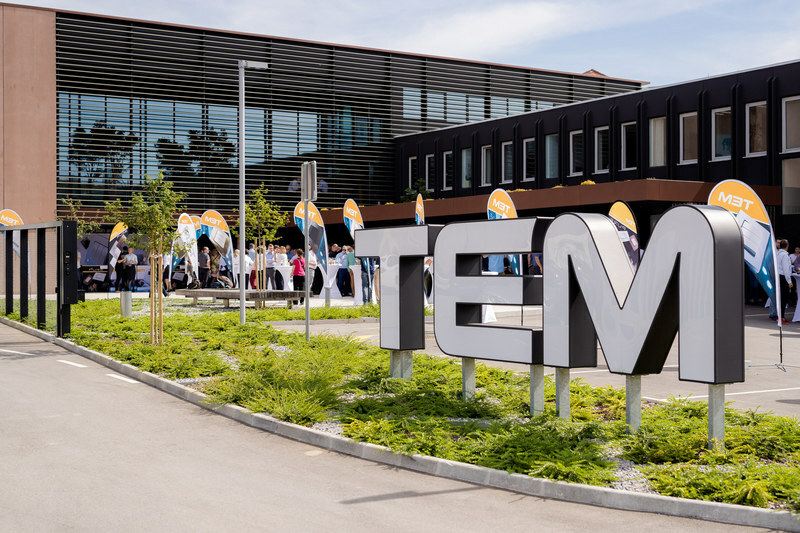 Grand opening of the new commercial and storage facility of TEM - Tem Čatež d. d.
On Thursday, September 13, 2018, we prepared grand opening of TEM new premises for our employees, business partners, suppliers and customers. Through guided tours, we first introduced our new production, business and warehouse spaces. We then continued with official celebration ceremony, which was moderated by excellent TV hostess Bernarda Žarn and musically enrichened by famous Slovenian singers Nina Pušlar, Matjaž Robavs and Marko Vozelj with his Masters. Special dance show was performed by “LED dancers”. We are pleased we had this opportunity to share our latest investment and view on the future. TEM’s special event traditionally took place in a friendly atmosphere with lots of good will and positive energy. We are happy and proud of our dear business partners and our mutual success story.